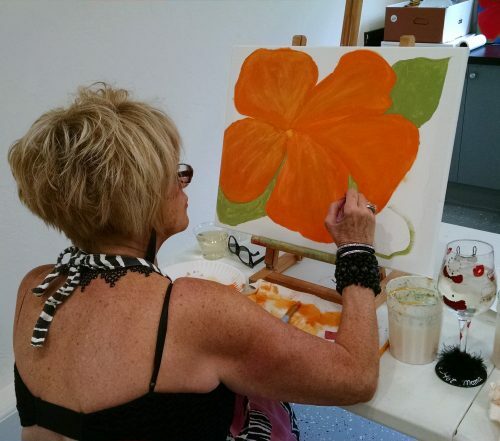 Create an acrylic painting in just 2 hours with step-by-step instruction. 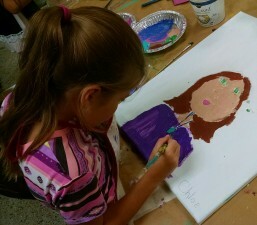 All students paint the same subject but you’ll be surprised at how different the finished products look when each person brings their own unique style to the canvas. Great class for beginners, but everyone can enjoy it! You’re welcome to bring your own beverages. CLICK HERE to see a current list of available subjects. These events are usually held at local wine shops and restaurants. 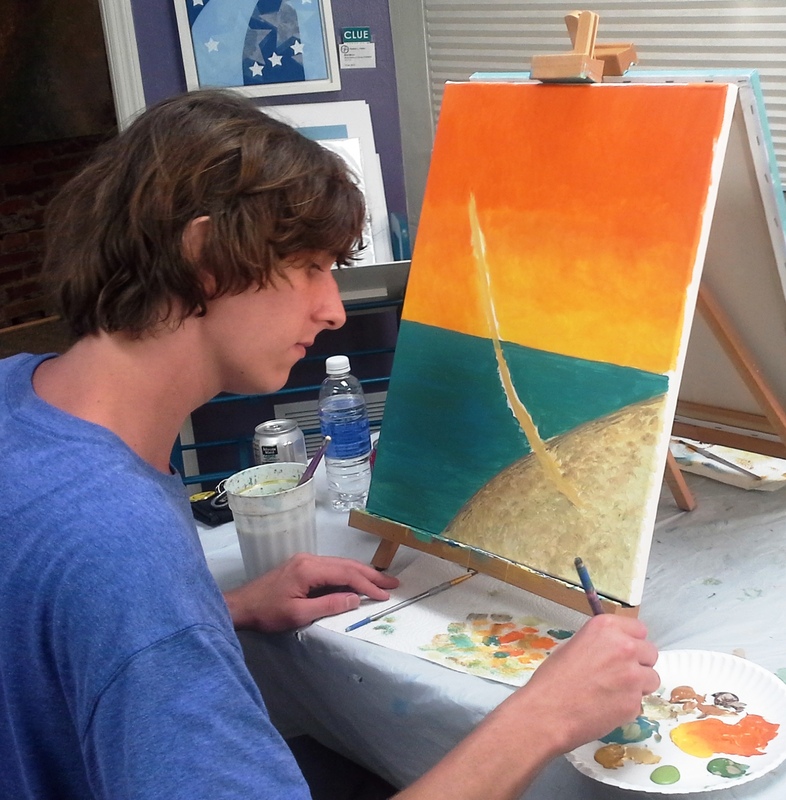 In between sips of delicious wines, you’ll place brushstrokes on canvas and complete an acrylic painting by the end of the evening. 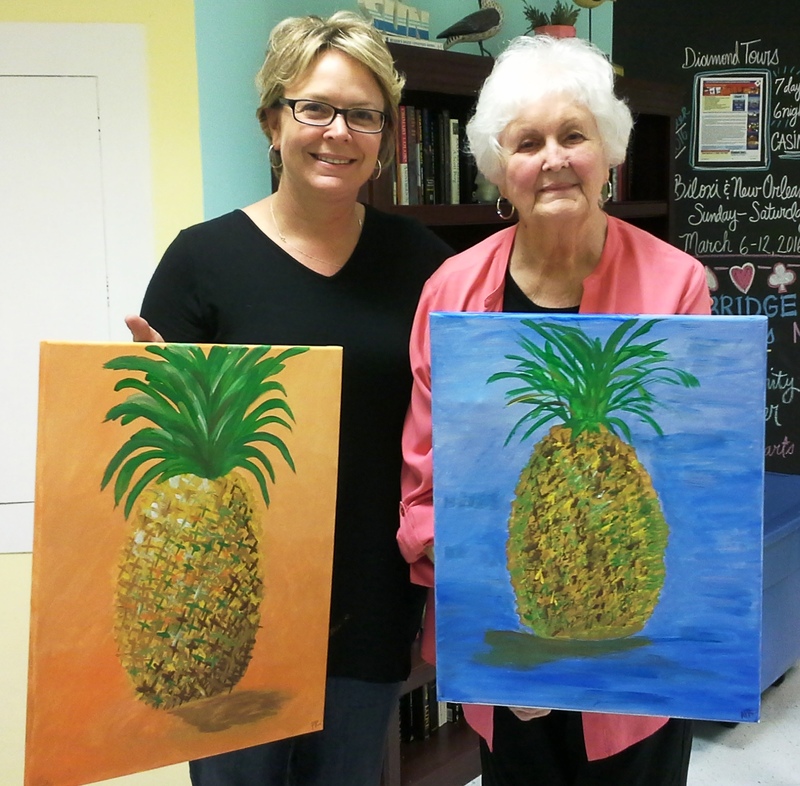 A great place to learn about wine and enjoy a creative night out with friends. No artistic experience necessary. Must be 21 to attend. 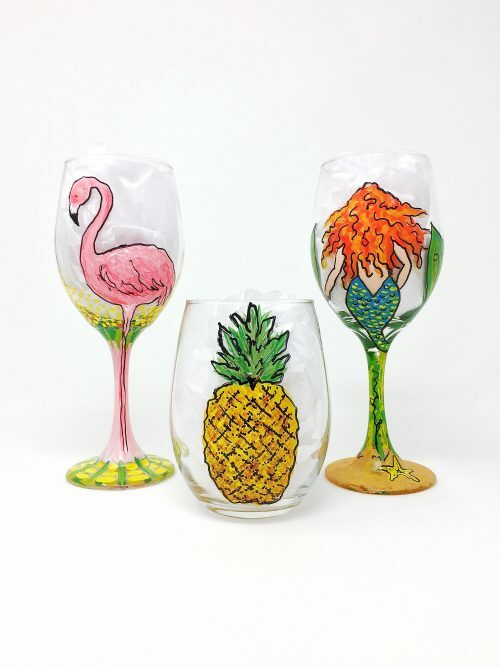 Create your own personalized drinkware to use at home or to give as a special gift. Decide what you want to paint and I will help you design the artwork using templates and your favorite color palette. Most classes include 2 glasses – stemmed or stemless – wine glasses, beer mugs or coffee mugs. 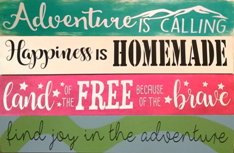 Create an inspirational or humorous piece of home decor to give as a gift or to display in your own space. There are a mind-boggling number of options that incorporate different sizes of wood surfaces with today’s most popular sayings. Different paint techniques, vinyl and/or stencil applications will be taught depending on the project selected for the class or party. Painting on canvas is now FUNctional! Reuse these durable (approx 16″ x 16″) canvas tote bags over and over as beach or grocery bags, a cute accessory and more…The options are endless! Create a custom design with a variety of stencils or freehand your own art, choosing your own palette. 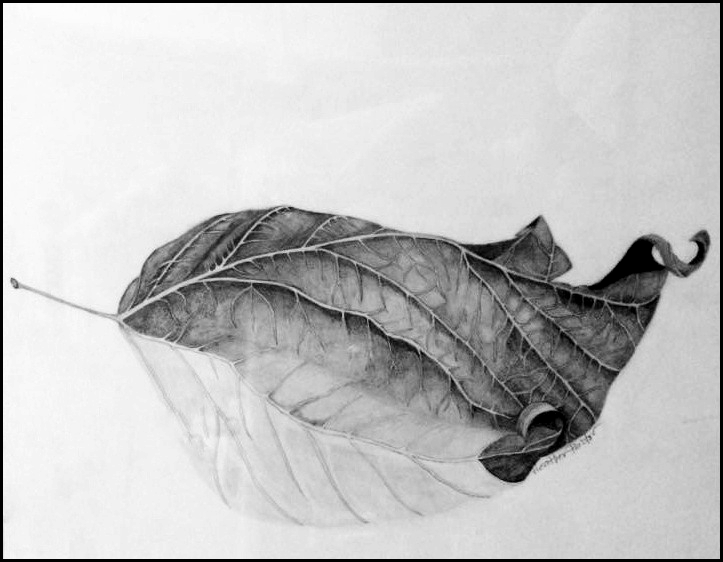 Teens can bring art projects they are currently working on and enjoy a creative brainstorm with their peers while learning about the elements of art and completing pieces suitable for their portfolio. Kids will learn about famous artists and experiment with a variety of mediums, bringing home their masterpieces the same day. 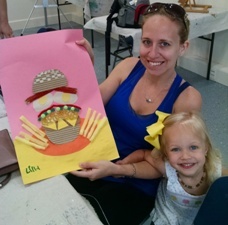 Tots accompanied by their parent, grandparent or other favorite adult by their sides, will be introduced to the elements of art while experimenting with a variety of materials that excite the senses!